Will solar panels ruin my roof? With the invention of solar paneling, solar energy has been made accessible to people all across the globe. Using solar panels, energy from the sun’s rays is turned into electricity and heat. And employing solar energy is not only a great way to save some cash on your electricity bill, but it also reduces the carbon emission that is released into the environment. On top of that, installing solar panels on the roof of your home adds value to your home and is really smart and rewarding investment. There is a never-ending list of all the good things that come from solar paneling. However, installing solar panels may be harder to do than expected. Although it may add value to your house, decrease carbon emissions and in just a few years you will see a return on your investment, the installation can be a difficult process. Especially if it is not done by experienced professionals. Installing solar panels on the roof entail mounting the panels on a rack that is bolted to the external surface of the roof. And since this process isn’t the easiest, it may be even more disappointing to learn that solar paneling can’t even be installed on all roofs. Slate tiles and skylights can make the installation of solar panels extra difficult and extremely costly. It is also not wise to install solar panels on the roof of a house that you are not planning to live in for at least a few years. 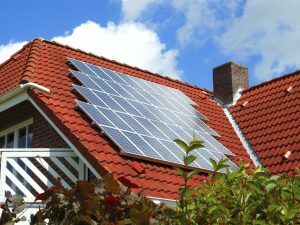 Because although it may add value to your home, you will also have to pay hefty installation fees that won’t be worth it if you are not going to be staying in the house long enough to actually see the cost benefits of the installed solar panels. 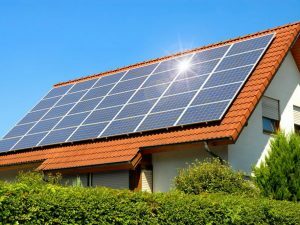 While it may be great to have a home that is solar-powered, when it comes to the actual installation of solar panels, one can’t help but ask to do solar panels damage roofs? This becomes a concern when you consider the extensive installation process that one has to go through to have solar panels on the roof of their homes. And this may also lead you to wonder about roof leaks after installing solar panels. Luckily, if the installation is done correctly and by professionals who know their way around solar panels and roofs, there shouldn’t be any hiccups and the solar panels will actually protect your roof rather than damage it. In many cases, the installation of solar panels is done so by solar panel experts rather than roof experts. And this can lead to the improper installation of the solar panels and them being too heavy for your roof. Which in return can compromise the heat insulation and water resistance of the roof. However, proper installation of solar panels will allow you to rest easy knowing that your roof is taken care of. As many of you know, exposure to the elements can cause anything to deteriorate over time and this includes our roofs and houses. This is why we have to paint our homes with weatherproof paint and why sometimes a leak in the roof can appear even if you take care of your religiously. So before installing solar panels you as a home-owner should carry out roof maintenance and fix any and all existing damages. This minimizes the risk of having future problems once the solar panels get installed on your roof. When solar panels are installed, they have very little, if any, direct contact with the actual roof. This is because the solar panel rack is installed directly onto the roof and the solar panels fit into the rack. And when the rack is fitted onto the roof, every nook and cranny is filled with a waterproof silicone and reinforced to ensure that not a single droplet of water can get into your house. Also, because the panels cover such a large surface area of the roof, it can actually be seen as protecting your roof from the elements rather than damaging it. And therefore allowing you to save more money on both electricity and roof maintenance. However, since nothing lasts forever and there might come a time when an unfortunately large gust of wind will cause something to move or come loose and you will find that your roof is leaking. Most solar panels are installed in a way which allows them to be easily removed. And then you can easily access your rood and fix the leak even if it is hidden under the solar paneling. Or do any other maintenance tasks that your roof requires. The best way to avoid damage to your roof is to make sure that your roof is compatible with solar panel installation and is not made from a material that is known to be compromised if solar paneling is installed on top of it. It is also extremely important to make sure that you get professionals to carry out the installation. While you may have to pay for correct installation of your solar panels, it will let you save money in the long run because you won’t need to fix your damaged roof which can add up quickly. Lastly, it is important to make sure that your home is properly maintained. Proper maintenance of your home can go a long way and can prevent and minimize future damage, especially in the case of solar paneling. So will solar panels ruin or damage your roof? The answer is no! Which hopefully puts your mind at ease, especially if you are about to install solar panels on your roof. Additionally, knowing that decreasing your carbon emission doesn’t have to have a negative effect on your home should further ease your worries. Just make sure that you get professionals to install your solar panels. Since if done right, roof solar panels will look sleek and appealing and let you save money on both energy and home repairs. And who knows, you might even start a solar revolution by installing solar panels on your roof and promoting your neighborhood, town, and state to do the same.